Evie has had her fair share of time in front of the camera! Here are the stories she has been featured in. 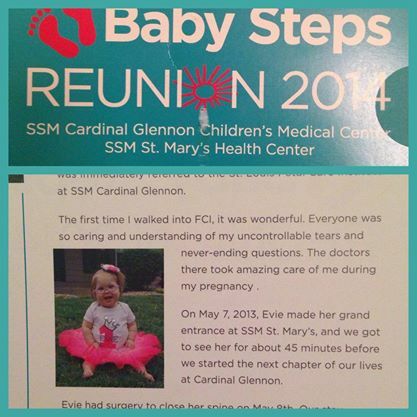 Evie is being featured from March – July 2018 as a spokesperson for SSM Health Cardinal Glennon Children’s Hospital. She is appearing on billboards throughout the St. Louis area and has a TV commercial spot airing! We are so incredibly proud of how far she has come and that she has been given this opportunity and platform! Evie served as the 2016 Children’s Miracle Network Ambassador representing SSM Health Cardinal Glennon Children’s Hospital. The year was filled with so much fun! From Miracle Treat Day to dance marathons in our area to appearing at photo shoots and other fundraisers, it’s safe to say Evie had a year filled with so many memories! 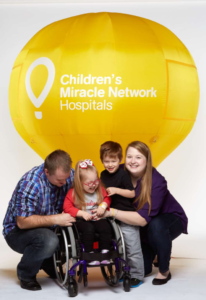 We are very excited to join with Children’s Miracle Network of Greater St. Louis in their Radiothon in 2016. Evie’s mom, Heather, appeared on AM 550 KTRS in December 2015 to talk about the upcoming event! Watch Here! On June 3, 2015 Evie’s mom, Heather, was featured as the patient keynote speaker at the SSM Leadership Conference held in Clayton, Missouri. Watch her remarks here. On December 12, 2014 we, as a family, helped out with Children’s Miracle Network’s Radiothon and made an appearance on 93.7 The Bull and 103.3 KLOU for radio interviews. Below is our interview on 93.7 The Bull. Enjoy! 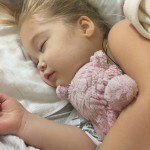 Evie receives the most amazing care at Cardinal Glennon. We had the opportunity to nominate one of our nurses, Holly, for an award. Holly was the recipient of the Ambassador Choice Award in 2014 for exceptional nursing care. Learn more about holly here. Evie was featured as the “Glennon Kid” in the Fall 2014 issue of Glennon Magazine. See the article here! We made a video of Evie’s first year of life for her memory album! Watch it here! 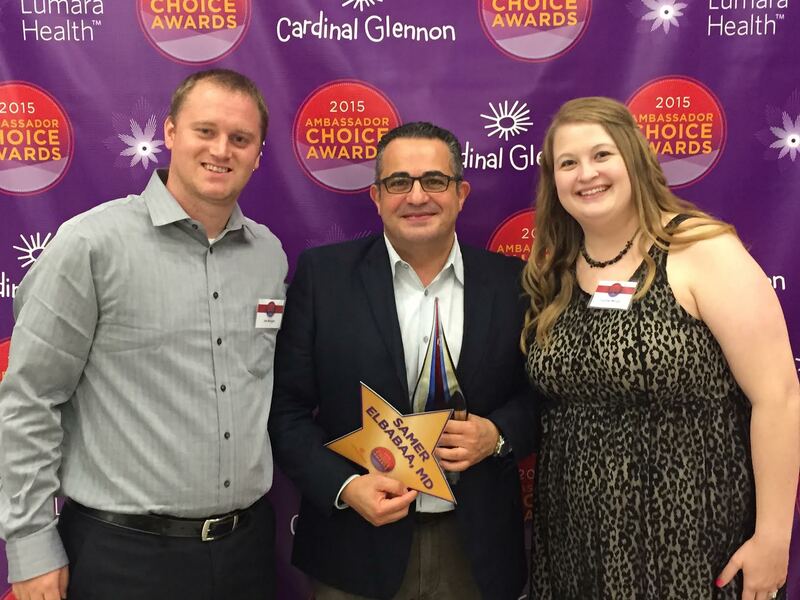 Our story was featured in a local newspaper for Glennon Sunday. 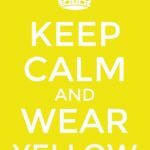 See the article here! Evie was featured on the Cardinal Glennon NICU “Baby Steps Reunion” invitation in 2014!